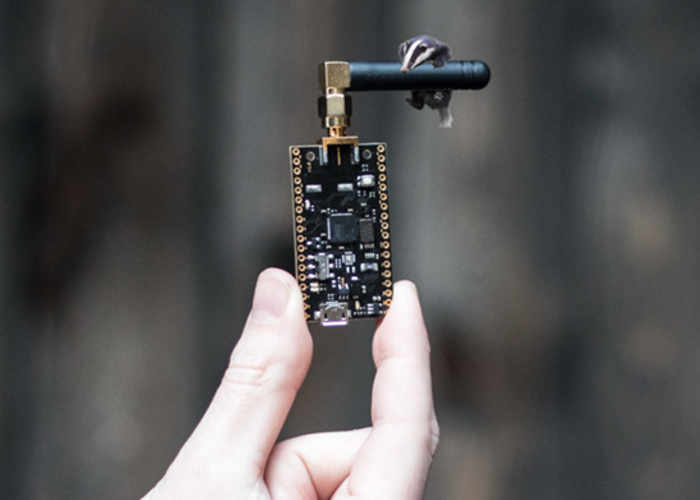 Makers, hobbyists and electronic enthusiasts but would like to create Arduino projects that are compatible with LoRa might be interested in a new development board called the Badgerboard which has been created by Nordic Automation Systems, based in Norway. The development team at Nordic Automation wanted to create a development board that would provide users with future technology at an affordable price. Watch the promotional video below to learn more about this tiny wireless connected piece of hardware. Depending on the conditions of the surrounding environment the radio waves can reach from 1km to 3km in the urban area and up to 10+ km in the rural. This can be done while powering your device on a small battery like the one you have in your watch. This is just the tip of the iceberg though. The best property of using a device like a Badgerboard is the LoRaWAN™. This is the LoRa Alliance™ standardized protocol that is specifically designed to be run on the LoRa® radios. This includes security mechanisms (cryptography) straight out of the box. Data transportation and radio parameters are all handled by the LoRaWAN™ software. This means that it is compatible with the other devices/gateways/networks. Thus you do not have to design any software in order to make your data move. You can concentrate on your application. For full specifications and to help the Badgerboard go into production visit the official campaign currently running on Kickstarter, by following the link below.